I've been wearing my Estee Lauder Double Wear foundation a lot lately, I've been at work pretty much every day and it involves a lot of running around. 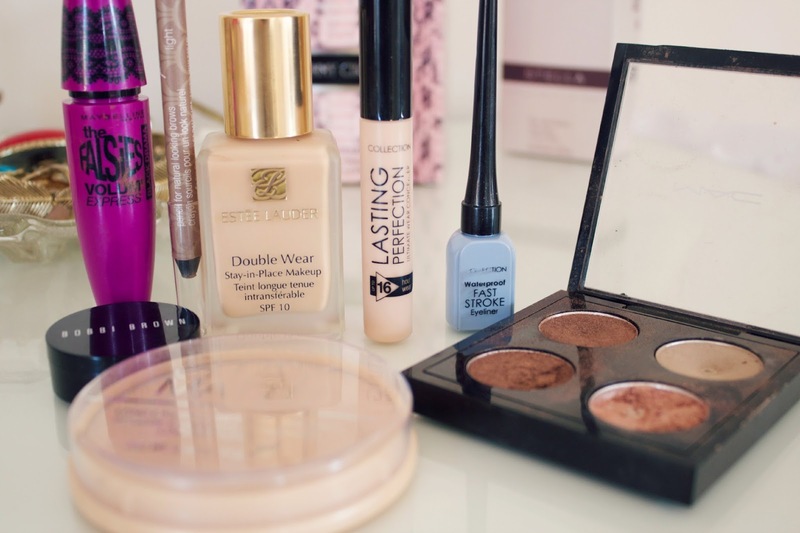 This is the foundation I tend to pick when I need something that I know is going to last all day as I don't need to powder throughout the day! Under my eyes I use my Bobbi Brown Creamy Concealer, I love this for under my eyes as I get quite dry skin there and this is a really creamy product so it doesn't cling to the dry parts. 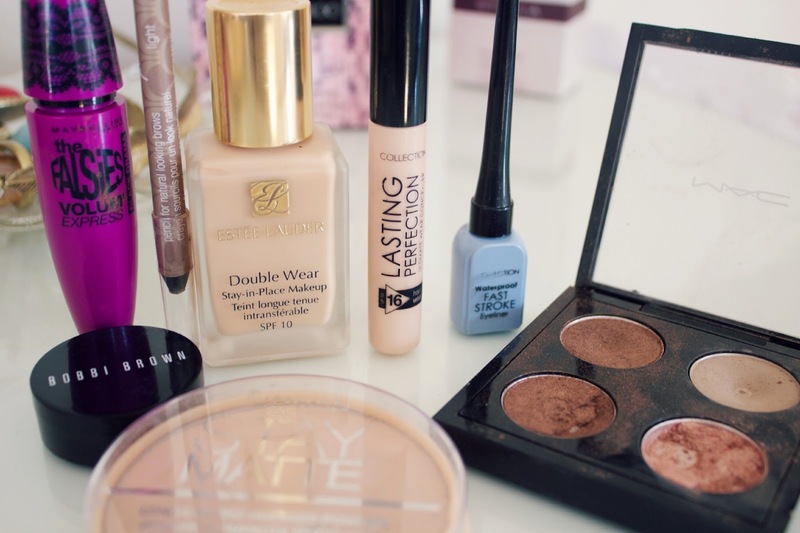 For blemishes and redness I use my Collection Lasting Perfection concealer, I've talked about this so many times, it's one of my absolute favourite concealers and it's so cheap too! I then use my Rimmel Stay Matte powder which is also a really affordable product! For my brows I've been using the Benefit Instant Brow Pencil, this is a lot softer than other brow products I've used so I've found that it runs out quite quickly but the shade is a really great match for my brows. I've been using my Mac eyeshadows a lot lately, I love All That Glitters and Woodwinked! When I went away to Amsterdam I needed a new eyeliner and just picked up the Collection Fast Stroke eyeliner but I absolutely love it! I recently repurchased the Maybelline The Falsies mascara which I really love, the brush is slightly curved which I find works makes it so much easier to coat every single lash. Lovely post! And those pictures, the quality is amazing! 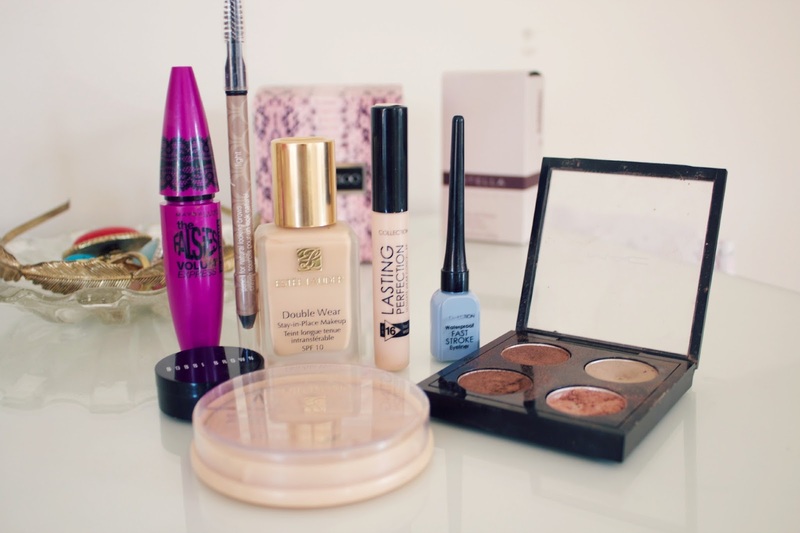 I love the falsies mascara, and I really want to try the Estee Lauder double wear foundation. Is it full or medium coverage? Great blog by the way!